Skip Your Loan Payment Instead! Shop for the perfect gift for Mom and earn more rewards. Find out more about Auto Refi’s and Secure Checking. Start packing for that much needed vacation with a Personal Loan! Increasing your credit limit could increase your possibilities. Log into your credit card account to submit your request or stop by any branch location. 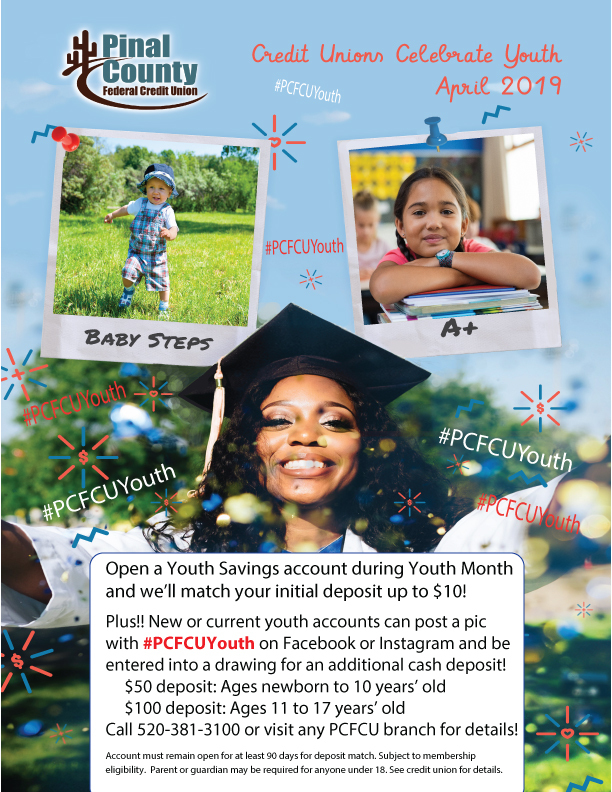 during April and we’ll match your initial deposit up to $10! Plus, there’s a drawing too! Snap a pic and save a trip with Mobile Deposit. Find us in your favorite app store and download today.